GTRK "Vladivostok" joined the international system for the exchange of video content, which was created on the initiative of the Chinese state television corporation "CGTN - Russian". The global television project involves television companies of China, Russia, Belarus, Tajikistan, Kazakhstan. 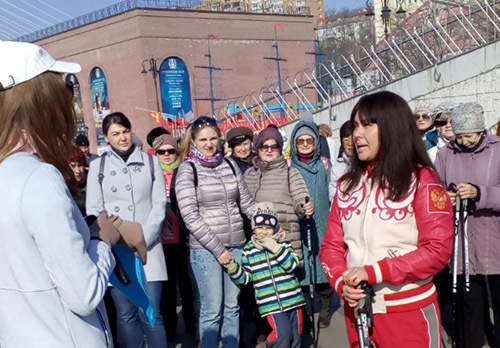 The participation of the Vladivostok State TV and Radio Company in this project means that now the production of Vesti Primor'e journalists will be available far beyond the Primorsky Krai and the Far East, while the viewers of the TV channels Russia 1. Primorye, Russia 24. Primorye and Vostok 24 "Will be able to see television programs from partner countries. The signing of the agreement on Vladivostok's participation in the video content exchange system took place in Xi'an in the framework of the Silk Road International Community Cooperation Forum - 2018. Representatives of TV companies from 49 countries take part in the forum. GTRK Vladivostok has been a member of this community since 2016.